Since 1880 Palmers has been an expert for scaffolding and access solutions, providing its customers with reliable services – on time and on budget, and when the projects involve difficult and complex tasks. Palmers Scaffolding UK Ltd approach on each and every contract is one where the operational requirements of our clients remain the priority and therefore the emphasis is always on safe, fast and efficient Access Solutions, working compliantly around other contractor activity. 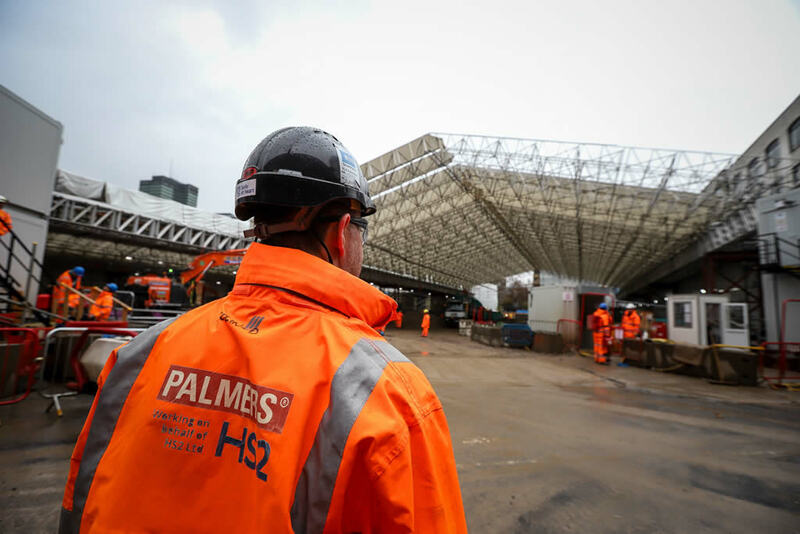 Within the specialist industrial and railway infrastructure market sectors, Palmers have tailored a bespoke access service to suit individual customer requirements, for decades – working with some of the top industry names. The company retain Achilles RISQS approval for the undertaking of these disciplines within the UK railway network & London Underground environments. Palmers also retain Achilles Verify (UDVB) accreditation for the Construction, Oil & Gas and Utilities industries. Additionally, all personnel employed working on or within the vicinity of railway lines will be CIRAS/PTS trained. And Palmers Scaffolding UK Ltd are one of only a handful of preferred UK scaffolding contractors whose operatives are pre-qualified to work airside & landside at London Gatwick & London Heathrow airports. Working together with the help of our strategic partners, in addition to our core scaffolding business, Palmers provide a range of other supporting disciplines – when integrated within a major scaffolding package contract, and with prior agreement with our clients. Examples of such supplementary disciplines that may be offered include coatings, shot-blasting, thermal insulation (hot, cold & cryogenic). Palmers strive to remain proactive and innovative – giving the best access solutions, right across the UK. And being a reliable partner for its customers, Palmers adheres to its core values which are at the heart of our company philosophy, on every job we do. The company subscribes to the maxim that ‘what is measured improves’ and our management controls have been developed with a focus firmly on achieving budgets, reducing costs and continual improvement across the full spectrum of our activities. Palmers Scaffolding UK Ltd undertakes its business via a network of regional offices, which are located to service target areas of both the industrial and commercial markets. Palmers Scaffolding UK Ltd are committed to developing long term relationships with our clients in order to provide an economic and versatile service that not only meets but exceeds our customers requirements. It’s this approach that wins us awards and has kept us at the top of the scaffolding sector since 1880 – working for the UK’s leading main contractors. 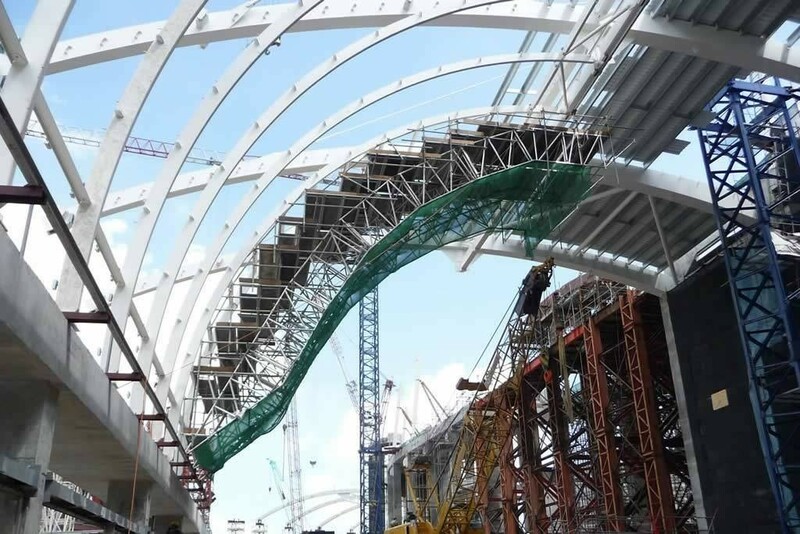 Palmers guarantee an innovative and proactive approach to access and scaffolding – with the emphasis firmly on customer service, quality and safety. Below is a recent example of a Palmers ‘roll out’ scaffolding protection deck in action. Safe, fast & adaptable, this mobile scaffolding is ideal for railway Stations and airport terminal usage, to move ‘off-site’ constructed scaffolding in and out of position between opening/closure hours on jobs. Click play to view.